Grand Trunk Ry. of Canada. Chicago & Grand Trunk R'y. Upper Or Western And Lower Or Eastern Canada. Map Of The Provinces Of Canada. 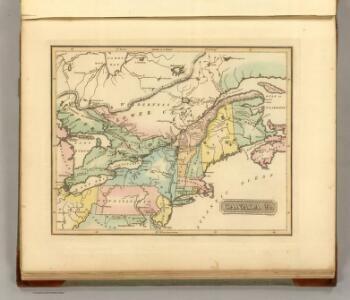 A map of New England, New York, New Jersey and Pensilvania / by H. Moll geographer. from An historical account of the incorporated Society for the Propagation of the Gospel in Foreign Parts. Containing their foundation, proceedings and the success of their missionaries in the British Colonies, to the year 1728. By David Humphreys. Canada. Provinces of Ontario and Quebec.